Is 2017 your year for a Clean Sleep Revolution? You are here: Home / science of sleep / Is 2017 your year for a Clean Sleep Revolution? I know I’m leaving it a little late to be talking about new year’s resolutions, but I figure there may still be folk out there furiously planning their goals and change plans for 2017. So……. if you are still struggling to articulate a new and fabulous YOU for the 365s of 2017, I have a suggestion. I must confess straight up that the suggestion is a portmanteau of sorts. It’s a mash-up of two celebrity sleep ‘events’ in 2016. The first was Arianna Huffington’s decree via her latest book that we needed a Sleep Revolution. The second was Gwyneth Paltrow’s shared wisdom via her latest book that we need to practice clean sleeping. Now, I fully support Arianna’s and Gwyneth’s messages. I have been trying to shout loudly since my book was released in 2013 about how bloody important sleep is. I will remain forever mystified by people who don’t prioritise sleep for any reason – with a particular mystery saved for those who forgo quality sleep to remain in a bed with a disruptive partner. I do understand that for some, knowing where to start changing sleep behaviours can be difficult. Factoring a disruptive sleeping partner into that mix can be even trickier. How can you prioritise your sleep for good health, while not upsetting a loved one? 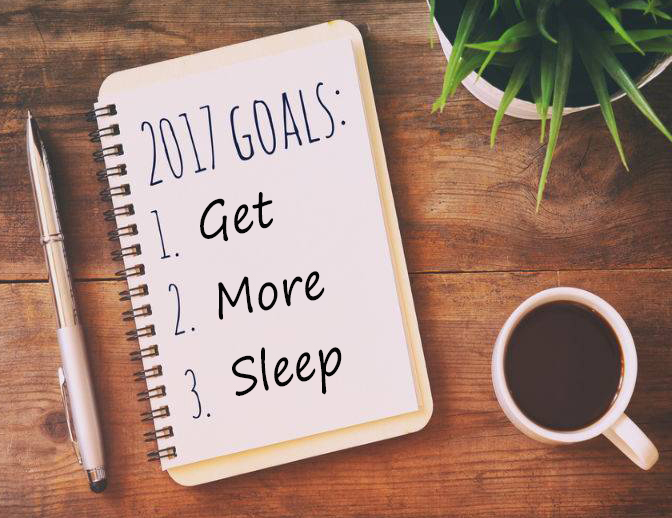 How can you make a resolution to get all the ‘clean’ sleep you need and start your own, 2017 Sleep Revolution that puts you at the centre? Herewith then, I offer a New Year’s Resolution Solution Package for you…. Make sure sleep is prioritised as a core aspect of how you stay healthy. Good quality sleep is as important as a healthy diet, is essential to good health (physical, mental, emotional) and deserving of attention and priority. If you are consistently tired you cannot be the best version of yourself, which impacts on all facets of your life. Be honest with your partner about your sleep needs – how much, when, and under what conditions. Don’t expect that you and your partner will automatically be able to sleep together without issues. As with other parts of your relationship, it may take some negotiating. Don’t be afraid to let your partner know they are disturbing you. Talk to them about the impact their nocturnal behaviours are having on your health and discuss how these might be addressed. View sleeping separately as a viable option and not a failure as a couple. It can be a ‘sometimes’ solution and does not have to be permanent. Don’t get caught up in social expectations or the judgement of others when deciding how you and your partner manage sleep. It’s no-one’s business but your own. May your 2017 be filled with 365 nights of fantastically, restorative sleep. Great post! I think it’s really important to communicate your sleep needs Both of you will be happier and healthier for it. Thanks for sharing!